For my job, (the one I’ll hopefully be getting early 2012) I will need to complete a couple of courses. 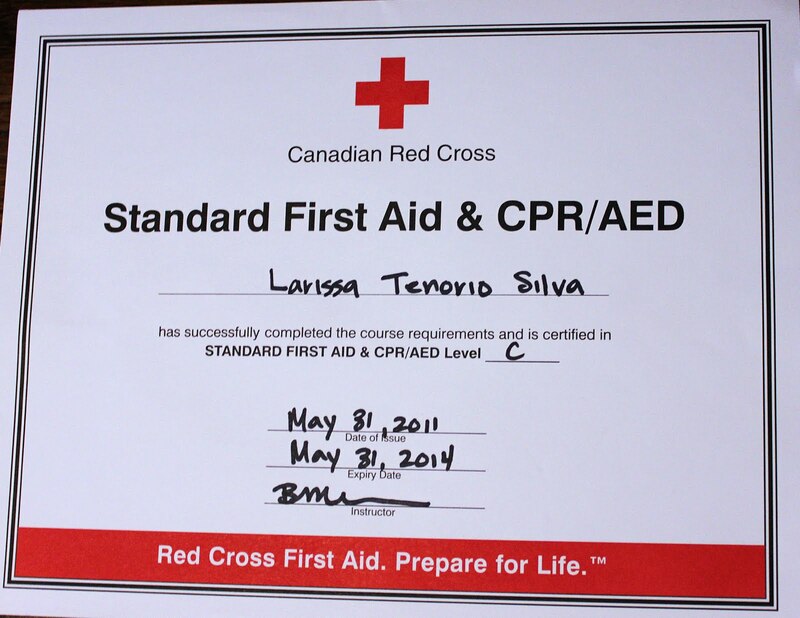 The first on my list, was Standard First Aid (SFA together with EFA-Emergency First Aid, and CPR-C). It was a two day course in which I had the pleasure of meeting fun people that made the trip to Surrey worth it. I couldn’t take the course here in Abbotsford because they only had it available on Saturdays and Sundays, and because we go to church on Saturdays, I’d be missing out half the course (not cool). Brittany is a course instructor for L.I.T. Aquatics while she finishes her nursing degree at UBC. She is head guard at the Y in Surrey instructor for SFA and NLS courses. LFA: What is your job like, what responsibilities do you have? Brittany: I’m a life guard, and head guard at the “Y”. I relieve othe guards from their posts when necessary, I teach NLS and SFA, and overall conduct staff inservice. LFA: And how do you describe your job currently? Is it fun or boring? Exciting, uneventful, stressful? Brittany: Fun. We have fun with everybody. It’s good. LFA: How do you view the importance of this job? Extremely important..or not so much? Is it a work that is essential? Brittany: Yes and No. Life guards do fall under the category of Emergency Personnels so yes. LFA: What kind of problems do you face at the pool? People, co-workers, etc. Brittany: Mostly people problems. Alot of complaints about pool temperature, hot tub tempurature, lessons. Everybody else working are all mostly on the same page, they’re fun to work with and don’t cause any problems. LFA: There aren’t many accidents and emergency problems are there? LFA: How did you get here? Head guard, SFA instructor. What brought/ led up to your current position? Brittany: I volunteered alot when I was younger, and I was always a good swimmer so my parents advised I take my courses so I did. LFA: How old were you when you began your courses? Brittany: 16. Six and a half years ago. LFA: What would be your advice for students wanting to one day become a lifeguard/instructor? Brittany: Complete all your courses. Keep your skills up afterwards. Definately take your job and responsibilities seriously and Enjoy It! LFA: Does L.I.T. have a motto? Brittany: I’ve only been with them for a year, so I’m not sure but I don’t think they do. I mostly work at the “Y”. I’ve been with them for 6 years. LFA: Does the “Y” have a motto? LFA: Yesterday, the first day of the course you made us all introduce ourselves and say something interesting about ourselves. What’s something interesting about you? What makes you different from other head guards? Brittany: I have a strong interest in anatomy. I should be getting my nursing degree in December! LFA: Thanks for your time Brittany!